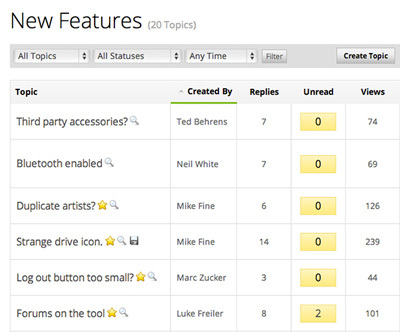 Recently we did a post on the role feature requests play in beta. That post looked at the challenges and benefits of collecting feature requests and is a great overview of feature requests as a concept in beta. This post looks at how feature requests are used in the Centercode beta test management platform to help you connect with your customers and build a roadmap for your product. 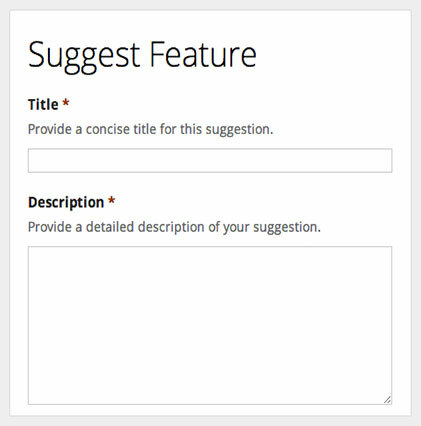 Submitting feature requests (also known as suggestions) is just one of the many activities Connect is designed to have your beta testers complete. Each license of Connect includes a template for a basic feature request form. It includes a title field, description field, and importance rating. Since this form is built on Connect’s custom feedback type engine, however, you can customize it to collect any sort of data you’d like. You can include rating scales, comments, screenshots, or anything else that would be helpful for your team in handling the suggestions. Properly managing the feedback is just as important as collecting the right data. In Connect, you can customize the workflow to determine how the system should handle each feature request that comes in. This means you have complete control over which of your team members see suggestions and who is notified as the feedback is handled. You can vary this workflow based on what type of feature is it, how important the tester considers it to be, or anything else that makes sense for your product. Feature requests are a fairly straightforward type of feedback, but there are still some tricks you can use to get the most out of that opportunity. As we mentioned in our previous post, feature requests are most useful for planning the future of your product and making your testers feel involved in the process. These tips can help you reach those goals. Make sure your form is simple, but complete. This is true for all feedback, but you want to make sure you’re getting the data you need without wearing out your testers. If you make the form too lengthy or confusing, testers may not bother to fill them out as often, resulting in less feedback. You don’t want to have to change your workflow once your test is underway, so make sure you’ve thought about your workflow before launching your test. 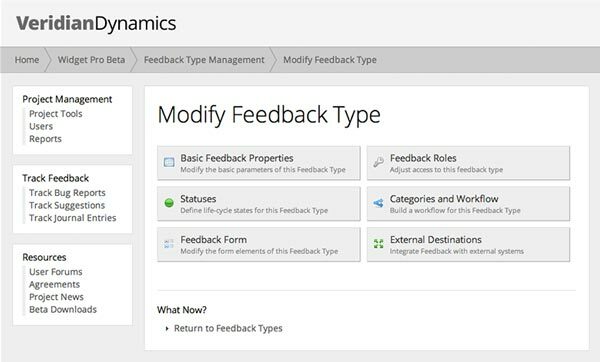 Connect gives you a wide variety of options for handling feedback, so it’s worth taking some time to map out exactly how you want feedback handled. Also, don’t forget to test your process before launch to ensure it works the way you planned! When asking for ideas also ask how important the idea is. While some people gravitate toward “everything is critical!”, many are more honest and realistic. Either way it gives you some context for the suggestion. We include a scale from “Nice to Have” to “Essential” on our forms to gauge a suggestion’s importance. If a feature is requested once or twice, it’s probably not worth bending over backwards to add it. If half of your testers are clamoring for it, it might be worth delving into a little deeper. Make sure your testers know their feature requests are being viewed. If a tester feels they’re being heard, they’ll be much more open and honest with their feedback and ideas. We include a discussion section on our feature request forms so we can get additional information or update the testers on their request after submission. Get feedback from the whole group. If you’re trying to see if a feature request has wider appeal, consider posting it on your discussion forums. Then testers will have the opportunity chime in and even improve upon the initial request. They can also help flesh out an idea by providing feedback on details (such as the interface or settings) or possible issues (such as implementation). Feature requests are a great way to understand how your customers use your product and what they hope to see in the future. They’re also a powerful way to keep your testers invested and enthusiastic about your test. Connect helps you make the most of this feedback without getting buried under a mountain of impossible requests. To see Connect in action, schedule a demo!